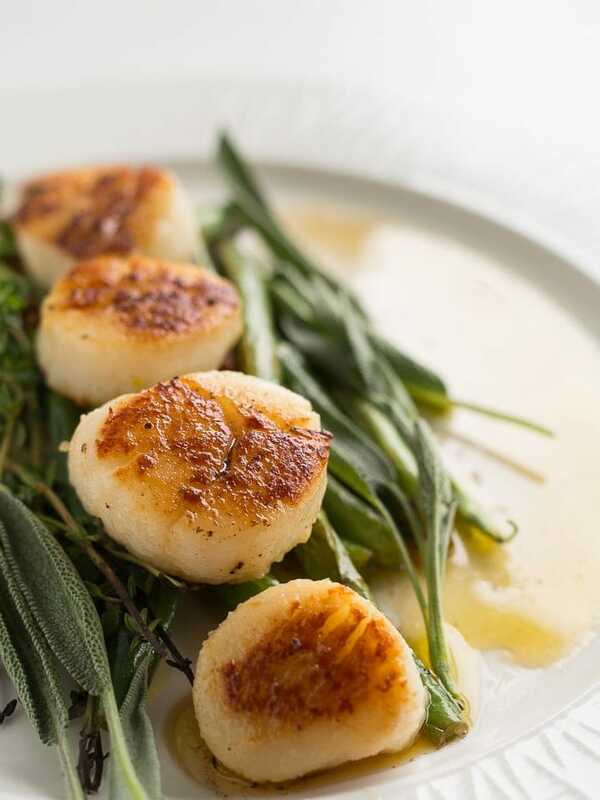 Pan fried Scallops is a classic recipe that everyone must try at least once in their life. Since classic recipes are easily changed and hardly broken, why not add garlic green beans with a hint of fresh thyme and sage for a modern twist. Scallops are taken from clams, and yes they do produce pearls! Specifically, the name Scallop is given to the bivalves when they are served as seafood. Scallops also contain a large amount of vitamin B12, which is important for energy construction, hormone production and the immune system. B Vitamins are crucial for women with PCOS as it aids in the production of progesterone, which can rebalance the Estrogen dominance within the body. There are two types of Scallops that can be bought from your local grocery. Wet and Dry Scallops. Wet scallops are treated with sodium tripolyphosphate to keep them looking white, and dry scallops are not. Whilst it is assumed that sodium tripolyphosphate is perfectly harmless to consume, it actually causes the Scallops to hold up to 30% more water, which not only do you have to pay for, but will diminish their searing effect as the excess water spills out into the pan. Dry scallops should not be too hard to find (and will be proudly displayed as “Dry Scallops”), but if this is not an option, then just work with what you’ve got. Garlic butter and green beans is the ultimate combination for a flavor sensation. 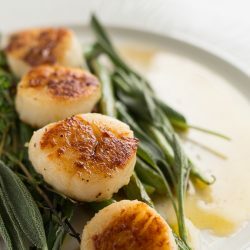 The velvet acidic taste accompanies the sweet nutty flavor from the sea scallops, making this a real hit for those looking to enjoy any special occasion. Scallops are a fantastic treat, but they tend to be slightly expensive. 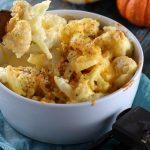 Save this recipe for a special night, as the rest of the family might not appreciate their delicate flavor and decide that they look better as ghosts on the floor than dinner. 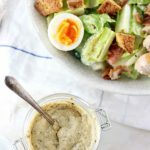 I just want to say a sincere thank you to Mira for the opportunity to create this recipe for her site. 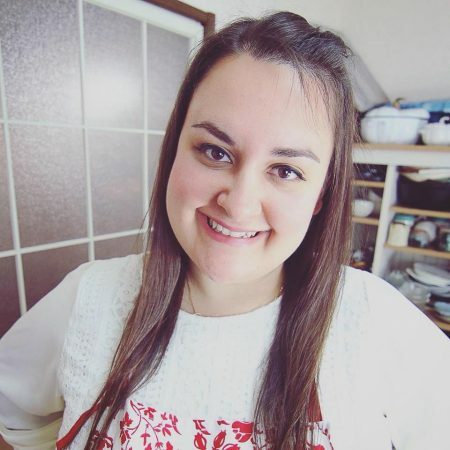 She does such a wonderful job of providing so many fantastic recipes that everyone can enjoy! Place a frying pan on high heat with 2 tablespoons of olive oil. Cut the ends off the green beans and put into the pan with salt and pepper. Cook for 5 mins. Remove the beans from the pan and place onto a plate. Salt the scallops and place them into the pan. 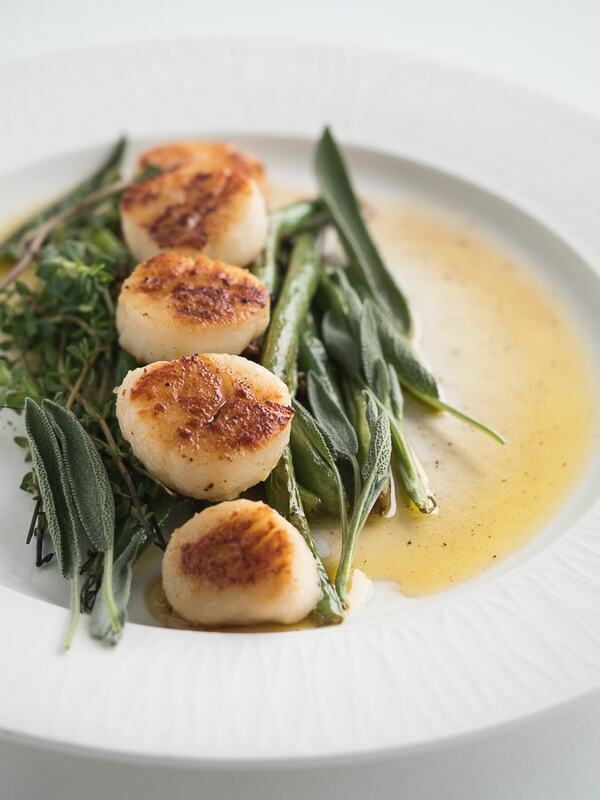 Cook for approximately 3 mins on one side, flip and add the butter, garlic, thyme, sage and green beans into the pan and spoon the butter over the scallops and beans. Once the scallops are fully cooked (usually another 3 mins) then serve and enjoy! 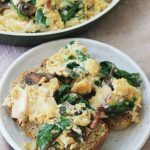 Wow, delicious and so healthy!